Looking to learn something new or just want to perfect your decorating skills? 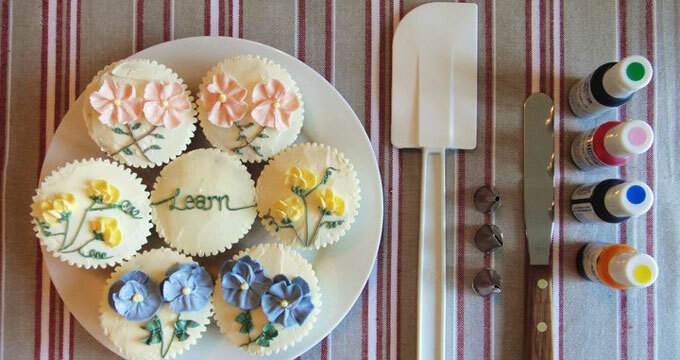 Join chef Leigh and learn how to decorate cupcakes like a pro! You will get to ice 6 cupcakes and take them home to enjoy with family and friends. You will also come away with recipes and tips on how to make successful cupcakes at home. Chef Leigh has trained at Michelin-starred restaurants and prestigious patisseries in New York and London. She runs Craft Cakes, her custom celebration cakes an cupcakes business.